Why is it so expensive to switch WordPress themes? When we quote for a project to switch WordPress themes on an existing website, clients are often surprised at the price. This is a shame because the best type of WordPress web design projects are those where the perceived value matches the actual cost to do the work. There are certain types of project where the amount of work exceeds what the client thinks it should be worth, which often makes it a non-starter. Changing the theme on a WordPress website often falls into this category because clients think it should be a quick job whereas it’s actually days of work. Why do clients think it’s so easy to WordPress themes? WordPress – and also the wider WordPress community – create the impression that designing a website using a theme is as simple as browsing for a theme, installing it and clicking ‘Activate’. If you go to Appearance > Themes in the WordPress admin, you can easily browse for free and premium themes and choose one. This suggests that a theme is simply a ‘skin’ which can be changed at the click of a button. This may be the case with very simple blogs – although I would even dispute this, if you want your blog to look any good (see below). But in most cases, activating a theme is only 1% of the work to design a professional WordPress website. My inspiration for writing this post was Envato Tuts’ recent article on The Concept of Plugin Territory in WordPress. In this article, Barış Ünver laments the fact that so many WordPress themes include functionality that prevent people from switching themes without losing much of their content. ‘Plugin territory’ is the biggest reason why it’s so expensive to switch WordPress themes. It’s a strange phrase and not necessarily the wording I would choose. It basically describes the practice of including functionality in a theme that ties you into the theme. In theory, a WordPress theme should just be the ‘skin’ of a website – the typography, colour scheme and other styling elements. When you switch theme, your content should stay the same and the fonts, colours etc. should change. Easy! However, many WordPress theme developers have encroached into ‘plugin territory’ and are including things in their theme that would be better in a separate plugin. This means that when you switch themes, much of your website content either breaks or disappears completely. When this happens, you need to redo the missing or broken content using the features available in the new theme. Or a plugin, which is how these parts of the website should ideally have been done in the first place! What work is required in switching WordPress themes? If you have a very simple blog or a website with basic pages created using the standard WordPress editor then switching themes may be very simple. You switch theme and things look different, but everything works straight away. Some manual work may be needed to assign the correct menu and widget areas, and things like that. Further work will be needed to use the new theme to its full potential, for example to reformat the featured images on your blog posts to the correct proportions for the new theme, and to utilise any features provided in the theme such as additional layout options or custom widgets. A professional WordPress agency should quote at least a full day’s work for switching themes on a simple website. Even if it can be done at the click of a button, the new theme won’t look as good as the demo site without extra care and attention. As we have seen, it’s at least a day’s work to switch themes on a simple WordPress website or blog. This applies to basic themes that haven’t strayed into plugin territory. So what happens when you want to move away from a theme with features that are locking you in? There are many ways in which theme developers include features that make it hard to move away from their theme. Here are some common examples. 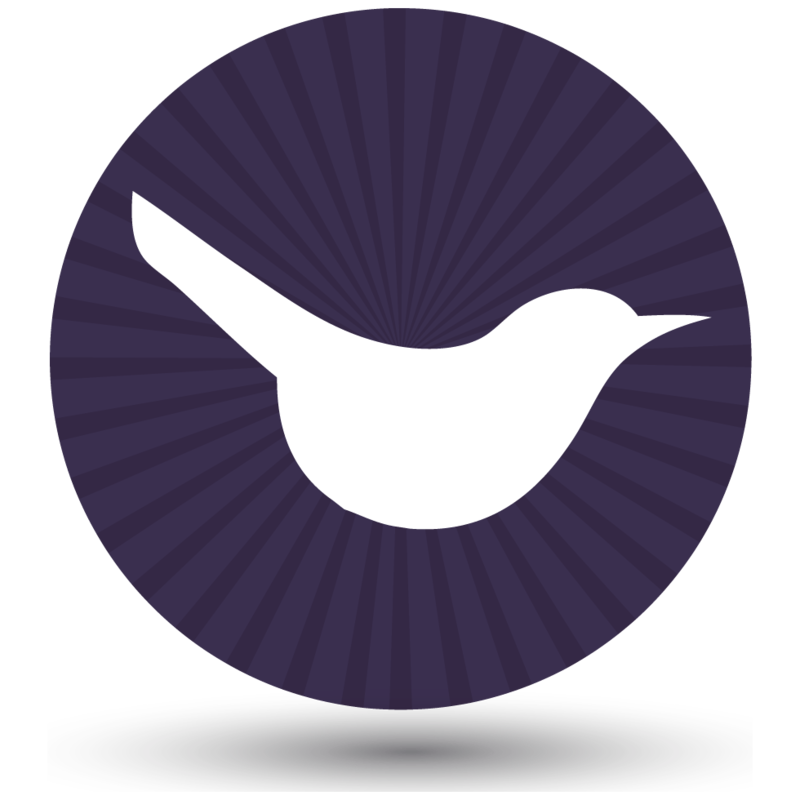 The most popular themes these days come bundled with slider plugins such as Revolution Slider or LayerSlider. Until 2015, it was common for the files for these plugins to be integrated into the theme so that if you switched theme then your sliders would vanish. ThemeForest changed its rules last year and this is no longer permitted, so themes tend to include premium slider plugins separately. This means that if you switch theme, you can continue using the slider plugin which is great. However, some themes include their own sliders instead of using a plugin. Where the slider is actually part of the theme, it will disappear when you switch themes. You will then need to redesign your slider using the new theme or a plugin, which can be quite a lot of work. The default WordPress page editor is great but it doesn’t let you create very complex page layouts. For example multiple columns, full-width rows with background images, icons with text underneath, pricing tables, etc. Most professional websites require more complex layouts than you can achieve using the default WordPress editor. Theme developers have come to the rescue and developed themes with a choice of pre-built page layouts, or drag and drop page builders. 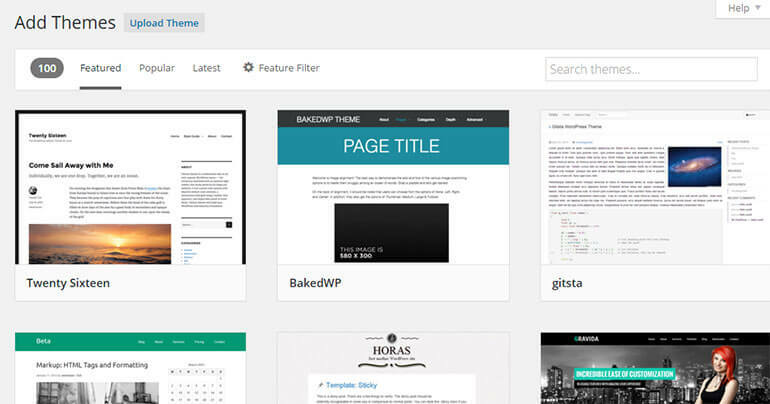 Some of these are built into the theme, so if you switch themes then the content of your pages will disappear. You will then have to rebuild each page from scratch. Some WordPress themes come bundled with page builder plugins such as Visual Composer. This means that if you switch themes, you can continue using the plugin. This is great, but you need to make sure your new theme includes styling for the features of the page builder plugin you’re using. For example if you’re using pricing tables then you need to make sure the new theme has styling for pricing tables, otherwise your pricing tables may not match the design of your newly upgraded website. Lots of people change themes on their WordPress website while keeping their existing page layout builder. In my opinion, it’s still worth spending a couple of days reformatting your existing content to make full use of the styles built into the new theme. Yes, your content may still work – but unless you do a fair amount of manual work, it won’t look as good as the theme demo. Nearly all themes include a ‘Portfolio’ custom post type which allows you to showcase your work or case studies. If a custom post type is built into a theme then when you switch theme, your entire portfolio will vanish! You will either need to re-create all your portfolio items from scratch, or get a WordPress designer to migrate the old custom posts to the new theme (or a separate plugin, to prevent this from happening again). The portfolio layout in a theme is generally quite specific, so you may also need to reformat your portfolio images to look good with the new theme. To give you an example, the Portfolio section on this website uses a custom post type built into the theme. Our previous theme had a Portfolio custom post type and we had to spend hours migrating the portfolio posts to the new theme. We also had to spend many hours redoing the main portfolio image for each project because the previous theme used a landscape format whereas the new theme used a square format. Our old images didn’t look good in the new format and needed to be redone manually so that important parts of the image weren’t being cropped out. Happily, nearly all themes use standard WordPress ‘Posts’ for the blog. This means that unlike custom post types, your normal blog posts won’t disappear when you change themes. The content of your posts will probably look fine too, because most blog posts are written using the default WordPress editor without anything theme-specific such as shortcodes. The part of your blog that may require attention is the featured images. Different themes display the featured images on your main blog page in different sizes, shapes etc. You can use the Regenerate Thumbnails plugin to automatically resize your images to fit the new theme, but some manual work may still be needed. This is because if the new theme’s featured images are bigger than the ones on your old theme then they will be stretched and will look grainy. The new shape may also not work with your existing images, for example important parts of your old images may be cropped out with the new theme. When you change WordPress themes, it’s worth spending some time making your featured images look good as possible with the new theme. When you switch WordPress themes, it’s important to spend some time checking each page (and post) to make sure there aren’t any old shortcodes you have missed. This content will need to be redone using the shortcodes from the new theme, or a separate shortcodes plugin to make it more future-proof. Lots of themes include options on the page editor screen allowing you to add your SEO title, description etc. This is really dangerous because when you switch themes, all your SEO data will be lost. You either won’t notice and your search engine position will drop, or you will have to manually add all your SEO data back in – which could be a big job if you have lots of pages, posts, categories, tags etc. SEO data should always be added using a plugin such as WordPress SEO by Yoast (our favourite SEO plugin). I think theme developers are irresponsible in creating options that suggest otherwise. Many WordPress themes have built-in contact forms, so your enquiry forms will disappear when you change theme. It’s better to add them using a plugin such as Contact Form 7. A huge proportion of WordPress themes include a box in the theme options panel for pasting your Google Analytics tracking code. This seems like an easy way to set up Google Analytics, but it means that if you switch themes then you will need to add your tracking code again. I think it’s a really bad idea for theme developers to provide – and for users to use – the tracking codes box in the theme because it’s easy to forget that you need to add it again with the new theme. The next thing you know, months have passed since you switched theme and you suddenly realise that you have lost months worth of data! Use a plugin such as Google Analytics by Yoast – there’s no reason not to. The above points apply to most themes designed for corporate websites. App themes are another thing altogether. An app theme is a WordPress theme with complex in-built functionality for a specific purpose. For example a real estate theme with property search and upload facilities; a directory theme; a travel agency theme with holiday booking facility; etc. With app themes, it’s a much bigger job to change themes. You are basically starting from scratch and redesigning your entire website, and there’s no way around this. Unless you avoid app themes altogether, which I would definitely support – this is not what WordPress themes are about! There’s a big movement in the WordPress theme world to separate theme and plugin territory and make it easier to switch themes. This is supported by big players such as Envato/ThemeForest – the world’s biggest theme marketplace – who have changed their rules in this direction. And lots of new theme companies are emerging with a more progressive and principle-driven attitude with a clear definition of what a theme should (and shouldn’t) be. So things are improving. While I’m seeing more and more themes with functionality bundled into separate plugins, there’s still a long way to go. Even now, nearly all themes (even those by the ‘progressive’ new authors) have a portfolio custom post type and many themes still include options for Google Analytics and SEO. I think it will always be a reasonably big job to switch themes. In an ideal world, website elements such as sliders and contact forms will always be independent of the theme. However, we’re not just talking about how to change things without BREAKING your website. You want a WordPress website that uses the new theme to its full potential and is as good as the theme demo site that convinced you to buy it in the first place. You want every element of your website to be carefully styled and integrated, creating a consistent design. Even if your slider and contact form don’t break when you switch themes, they should still be restyled to reflect the design of the new theme. For example the slider fonts and button styles should match the typography and button styling from the new theme, and the corners of the fields on your contact form should match the corners of the boxes in the new theme. None of this will happen automatically. I welcome the move to separate themes and plugins so that people aren’t tied into themes. This will allow people with simple blogs and basic brochure-style websites to switch themes much more easily, which is great. Designing a professional WordPress website will always require more than simply installing a theme. I can’t envisage a world where end users will be able to achieve this simply by activating a theme as much more skill and attention to detail is needed to make a website truly great. This is a professional task and the challenge for me to is how to help clients understand what’s involved. This was a good read Katie, I am a web-developper myself (I work for https://wecreate.com.hk/), and I aswell feel like that the separation of theme and plugin territory is a good thing. Let's hope things keep improving! Will read more of your blogposts in the future.